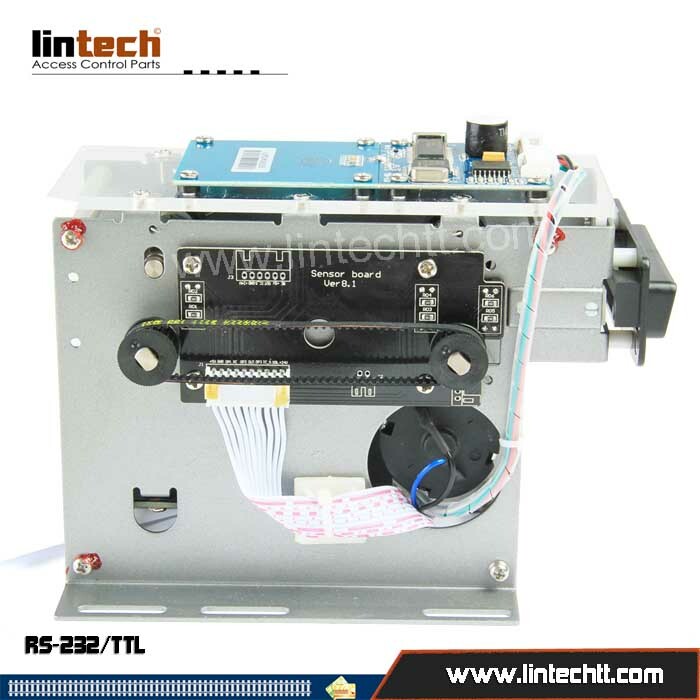 TYCR-1105 is an automatic Card recycling machine which can also serve as motorized RFID Card reader/writer. It comes with a reader/writer module TYCR-1000. The machine applies wear-resistant and corrosion resistant plastic in main body design, which greatly minimizes metal interference to RF signals and improves reading success rate. It is available in TTL or RS232 interface, which makes it flexible to co-work with various control panels and host machines in access control systems, card parking management, Auto Fare Control(AFC) and other card payment terminals, etc. 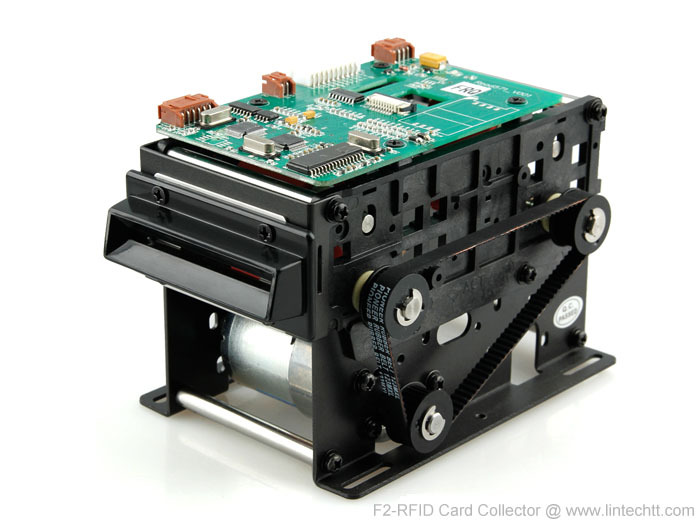 With ISO14443A/B 13.56MHz RFID card reader module integrated, RS-232 interface. Passage ways of receiving card. Be good suitable to all kinds of distortion card. Smart protect function of card machine. –Adopts industrial grade singe chip microcomputer (chip operational environmental condition -55°C ~ 125°C), built-in crystal oscillator and reset circuit, enables CPU extremely high anti-interference capability with high environmental adaptation. –With hardware watchdog, ensures high adaptive ability and power fail/low detection and protection ability. –Protection measures for input/output, ensures pure and reliable signal, meets the requirements of industrial grade product. –Long operation life, low noise motor with reducer casing, ensures quality and operation life of critical components. –Dual-wheel transmission avoids card deviation. –Spring tension creates transmission wheel positive direction pressure force, improves the adaptiveness with different card thickness, efficiently avoids rubber deformation and aging. –Transmission wheel made of special type rubber with thermostability and anti-aging feature. Reserve various custom appointed function, e.g. loop detector input, preloading, limit less collection, etc. Small and exquisite with electrostatic spraying surface processing craft, easy to install and transport.